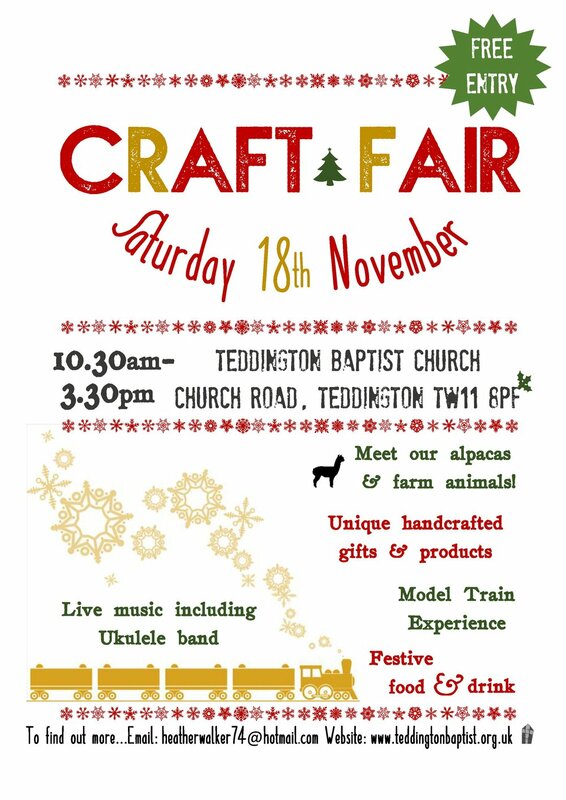 The popular annual craft fair held at Teddington Baptist Church returns on Saturday 18th November between 10.30am and 3.30pm featuring regular favourites alongside new stalls to get you in the festive spirit. The Mayor will be attending the event and there will be over 20 stalls where shoppers will be able to enjoy a range of professional designer/makers including jewellery, textiles, Christmas decorations, art, stationery, ceramics, handicrafts and handmade chocolates. Food and drink will be available in the café throughout the day, and a charity cake stall will be on hand to provide sweet treats. This will be The Last Show before the artists and makers leave Commercial Square, and the studios and work-shops close forever at the Leigh Street site. This is a chance to see those hidden gems that nobody – perhaps including the maker – has seen for years. There will be refreshments available across all of the studios as well as exciting information about our next chapter! I will have a new range of Christmas decorations for sale as well as the old favourites. This popular and vibrant selling show returns this autumn with contemporary paintings, prints, ceramics, sculpture, jewellery, photographs and glass. A range of art will be on offer from 30 artists to suit all pockets. You can buy and take away on day of purchase in time for Christmas. Come and join us for the launch and meet the artists. Meet artists exhibiting in this selling show. Find out more about how they work and their inspiration. Also on this Saturday visit the Christmas Craft Fair at the museum for more gift ideas. A mixed exhibition of limited edition and giclee prints, ceramics, sculptures, glassware, turned wood, silver jewellery, photography and a collection of individual greetings cards. There will also be two Christmas events; an evening shopping event on Thursday 9th November 5pm - 8pm and a one day Christmas shopping day on Saturday 2nd December 10am - 4 pm.